I bought this machine more than 4 years ago when I was working on a chorus dress for my high school sophomore daughter and my old metal machine finally bit the dust. At midnight. I ran out to walmart and bought this one because it had all the features I wanted, and walmart was open all night. I was sewing within 20 minutes--the instruction booklet was very clear, and I'm still using it for reference today. 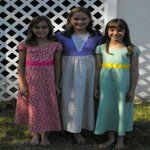 I was able to finish my daughter's dress in time for her concert the next day. I'd been putting up with that old machine's tendency to lose tension and tangle for a long, long time. 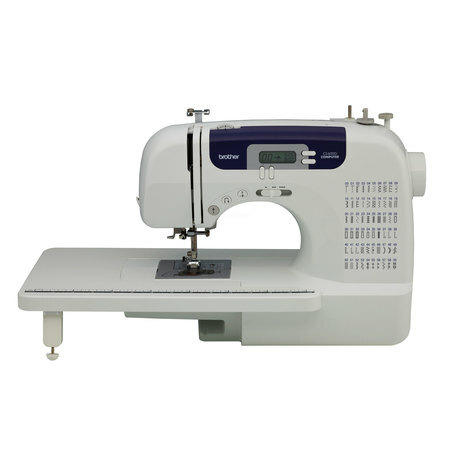 This brother was my first brand new machine and I was amazed that sewing could be so EASY! I haven't regretted the purchase even once. That same daughter is finishing her second year of college so it's been four years now. I've sewn everything from Jeans to Satin on this, and as long as I have the right needle for the job, it has never given me an ounce of trouble. Any problems I've had always turn out to be MY errors, not the machine's. I love being able to set it so the presser foot stays down when I take my foot off the pedal. I also have the option of setting it so it automatically raises every time I stop, but I prefer the needle to stay down. I love being able to push a button to raise the presser foot or to reverse stitch. And I love the 3 speed settings. One of my favorite features is the computerized selection of stitches. All the stitches are shown right on the front of the machine with its number. When I punch in the number, the LCD screen tells me which presser foot I need. The presser feet (foots?) are so EASY to switch out! It just takes seconds. The trick for me that works every time is to hook the foot onto the bar, then drop the lever fast so the foot flattens. It clicks into place instantly. My favorite foot is the walking foot that came with the machine. It makes all my sewing so much easier I have a tendency to use it even when I don't have to. With the buttonholer that I ordered separately, I can do buttonholes with a single step too. Bobbins were a little bit difficult to find at first, but I've found them at Joann's and at WalMart now. I have a huge supply so I don't run out. The plastic ones haven't given me any trouble at all. The bobbin winder is also convenient and easy to use, and I LOVE the drop in feature and the incredible ease of threading it. It still amazes me how fast I can change thread colors with this machine. It needs to be dusted out regularly under and around the bobbin holder, and a little brush is supplied with it for this purpose. Also, I regularly check that the presser foot screw and the needle screw are tight because they tend to loosen on their own. A screwdriver is provided. 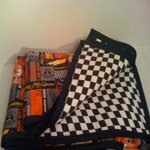 I've been sewing for 25 years, although I would not claim to be an expert. This meets all my needs and then some. I am completely happy with this machine and if it ever breaks down, I'll be glad to buy the same model to replace it. It's been worth every penny of the $189 I paid for it. The only other machine I want now is a serger! I can't believe the features this very light weight (10 lbs) machine has. I've been sewing for 45 years and needed a second machine for classes and sewing bees and have I found it. It's great! I did have to buy the 1/4" quilting foot seperatly from another source though. It did not come with it, but I knew that when purchasing it. It is just what I wanted. I really wanted a machine that had the blanket stitch for machine applique and it has 2 sizes of it. Love it! Great for Beginners & Professionals alike ! 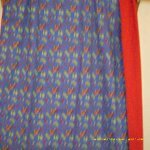 "I am posting this review as part of my entry in Walmart's Sewing Contest." This is the first sewing machine I've purchased. I was wary of all the fancy patterns, since I only really need straight sewing and zig zag. I was also wary of quality, considering the price. But I'm thrilled with this little unit! PROS: Quiet. Light weight enough to stow and retrieve without an effort. Perfect tension, easily adjustable. Cool buttonhole maker (though it's a little complicated to do the first time -- worth it). Top loading bobbin. Easy, digital stitch length and width adjustment and stitch selection. Sews over heavy stuff better than any machine I've ever used. FABULOUS thread cutter that leaves enough thread to start the beginning of a new seam while keeping the needle threaded. No hassle bobbin winding. Easy foot changing. CONS: Assembly around the foot and needle is REALLY shiny metal, making the eye of the needle super hard to see for the reflections. Brushed (dull) metal would be much better. Light isn't optimally placed for needle threading. Threading the machine is a little more clunky than I'd like -- would rather have the take-up lever exposed, and the thread guide above the needle takes two hands to thread properly. But these are minor things. OPINION AFTER 6 MONTHS USE: I LOVE this machine! After using it (a lot!) . It definitely helps to glance through the instructions! Therein, I discovered the needle threader. Wow. It was a little tricky to figure out at first, but now I'm a pro at it, and what a joy it is. The second thing I've learned to love is the needle-up button. After sewing a line of stitching, and BEFORE lifting the presser foot and cutting the thread, I've gotten in the habit of pressing this button every time. This prevents the needle from threading when beginning a new seam (when the take-up lever ends up in the down position). The zig-zag function makes a gorgeous satin stitch; so it's great for applique. The only change I'd wish for is that the presser foot be different, with a centered instead of left thread opening, and that the default needle position were in the center of the foot. But in general, this little wonder has revived my love of sewing after years! Photo of my latest project is attached.